Choose Your Own Tim Tebow Story! 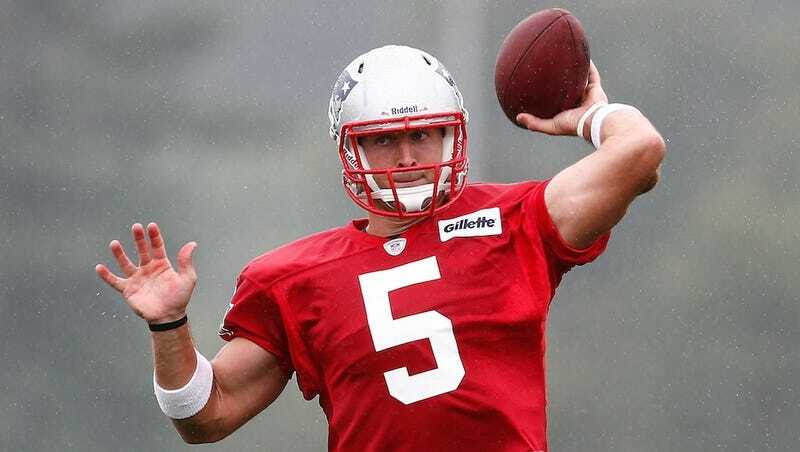 First day of training camp for Tim Tebow, New England Patriot. Big story! Lots of coverage. Passes thrown. Questions about Aaron Hernandez. Reporters everywhere. Do we really have to do this? Cognizant of the threat of Tebow fatigue, we leave the decision in the hands of you, the loyal and capable reader. Would you like to know more? To read about Tebow's performance on the field, click here. To read about Tebow's thoughts on Aaron Hernandez, click here. If you are sick of Tim Tebow, click here.